In particular during the 1920's, Physical Culture remained popular with the weightlifters who were set to take the development of strength in the human body to new heights. Weightlifters Thomas Inch, Maxick, and Arthur Saxon in England, and the likes of Alan Calvert in America, popularized strength training as never before in a variety of journals and books. Consequently, weightlifting itself, as a means to actually attain improved health and strength, became more popular with young men on both sides of the Atlantic. The 1920's in America saw the emergence of the 'muscles by mail' peddlers, and man like George Jowett, Bernarr Macfadden, Charles Atlas and Earle Liederman all became millionaires selling courses on how, through weightlifting, he body beautiful could be built. Also in America, Alan Calvert sold his revolutionary 'Milo' progressive resistance courses, complete with his famous plate loading 'Milo' barbell sets. By now it was becoming clear that the body beautiful was best developed through progressive weight training. Siegmund Klein also emerged at this time with a fabulously muscled physique, complete with clearly defined muscularity similar to the great, and at one time incomparable, Eugen Sandow. This was a very different look from the old 'Music Hall' strongmen who were typically barrel chested and with anything but a small middle. By now it had been shown that men could have well defined waist muscles, as shown by Klein. Strangely, Sandow himself had often downplayed the contribution of heavy weightlifting to the development of his physique, despite the fact that this was obviously the way he had attained such fine development. On the other hand, in the 1920's, Klein and others first began to openly advertise the fact that their physiques had been built through hard and heavy weightlifting exercises. At the same time, in the heart of Europe, the limits of human strength were being explored by the likes of the amazing Charles Rigoulot, who became the first man to clean and jerk 400 lbs. Another who appeared with seemingly superhuman strength at this time was Herman Goerner, who could deadlift over 700 lbs with one hand. Overall, the essential advance in the first 20 years of the new Century was the effective application of scientific principles to Physical Culture, and especially weightlifting. The big idea here being that through scientifically chosen exercises and diet, the human body could be quite literally transformed from the commonly weak one of the time into a positive paragon of strength and health. Englishmen like Thomas Inch and W.A. Pullum pioneered scientific principles as applied to heavy weightlifting during the first two decades of the new Century, leading the way to even greater increases in strength then previously thought possible. As the 1930's arrived, Physical Culture once again became quite popular with the general public throughout Europe. Gymnastics and outdoor exercises were particularly popular at this time. Also in America, weightlifting really took off for the first time and some great new American lifters emerged. During the 1930's, American trainers like Mark Berry began to popularize one of the real secrets to strength development, which is the use of progressively heavier weights. Therefore, the squat exercise became popular during this time. In addition, exercises like dead-lifts and the Olympic lifts were widely practiced in America throughout the decade. Consequently, throughout the 1930's American lifters increased their strength at an amazing rate, so much so that by the end of the decade some of the very best lifters in the world hailed from that country. One example is Tony Terlazzo, who won a Gold medal in the featherweight class at the 1936 Olympic games weightlifting championships. He lifted 270 lbs in the clean and jerk, at just 132 lbs bodyweight! By 1938, America had some other fine lifters, including John Davis, who won the world light heavyweight championship at just 17 years of age. In addition, John Grimek, Steve Stanko and Bill Good all set world bests in weightlifting during the late 1930's. America had truly arrived as the leader and innovator of strength training world-wide. Throughout the 1940's, America would continue to dominate weightlifting, and it was in the United States that the new bodybuilding movement began to take off in earnest. In 1941, John Grimek won the Mr. America contest with a new kind of physique. His body was covered with massive muscles which were aesthetically shaped and nicely separated from each other with very clearly defined muscularity. He looked very much like Hercules come to life! Here was the man who would start a new trend towards the body beautiful in America. His image appeared in countless muscle magazines and he became very well known both at home and abroad. 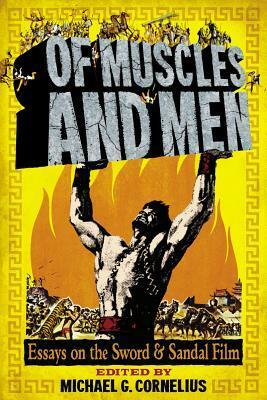 Throughout the 1940's and 50's, thousands of your American men would follow Grimek's lead and begin to train with weights in the hope of building a stronger and more muscular body. In fact, Grimek won the first ever Mr. Universe contest over a young man who would go on to take the sport to even greater heights of popularity over the next twenty years.This young man was Steve Reeves, who was inspired to take up bodybuilding after seeing Grimek's picture in a muscle magazine. Steve Reeves emerged as the physique star of the century, with his amazing combination of incredible muscle shape, muscularity and overall physical beauty. He would to on to star in many movies, and became the number one box office star in Hollywood during the early 1960's with his unique combination of good looks and perfect physique. It is certainly true that Steve did during the 1950's and 60's what Sandow had done for bodybuilding at the turn of the century, in that he was at the center of its rise in popularity. Steve was the most famous muscleman in the world, and he was well known as well outside of the lifting community because, like Sandow before him, he managed to market himself to a remarkable degree. Sandow himself had been one of the earliest stars of the silver screen, performing and posing with dumbbells and in muscle control routines. Steve also gained much of his fame by showcasing his muscles in films like Hercules. Both men set a president for beefcake in films, a trend that many later action film stars would follow.